On May 30, 2018, the in Ontario, Canada. It marked the end of the 3,300 unit production run of 840 hp street legal drag racer. Only 3,000 examples were sold in the U.S. and the remaining 300 were for Canada. There are no plans for a 2019 model, and nor were they ever discussed. It’s simply not happening. And because the final Demon is quite a big deal, Dodge mounted several cameras to capture the final stages of production. As we already knew, this final Demon is heading to auction alongside another grand finale, the very last 2017 Dodge Viper. They’ll only be sold as a pair, a grand total of 1,485 hp. There’s no doubt the winning bid will be in the seven-figure range. 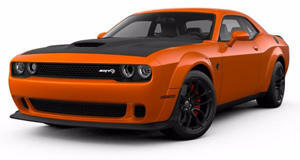 For example, back in 2015 someone paid $1.5 million for the first Challenger Hellcat, VIN 001. Although this final Demon is currently painted black, it won’t stay that way for long. It will soon receive a hand-painted exclusive Viper Red paint job along with unique 18-inch aluminum wheels, 18-inch Demon drag radials, and special VIN instrument panel badging. Not only will the winning bidder receive the Viper and this one-off Demon, they’ll also have a muscle car than can sprint from 0-60 mph in a mere 2.3 seconds. Let’s hope both cars will have the chance to show their stuff on the track instead of being permanently parked in a climate-controlled storage unit. Regardless of that, however, all proceeds from the Barrett-Jackson auction in Uncasville, Connecticut will be donated to the United Way.